Damascus Pattern Knife 3 1/4"
Damascus Pattern Knife 4 1/4"
This knife with its wooden scabbard is perfect for the picnic basket. The blade is made from high carbon steel sandwiched between stainless steel and will hold a very sharp edge. 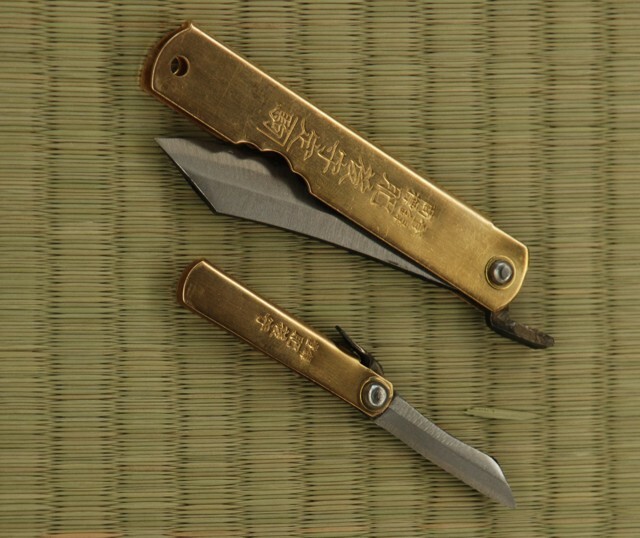 The handle and scabbard are made from a Japanese wood called Enji, known for its tough, water resistant qualities. Each knife comes well sharpened. 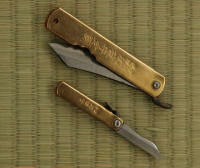 Overall length is 8Ë; blade length is 3Â¾Ë. High-carbon steel forge welded to soft iron.